That's what I'm talking about! Hope this makes its way to all schools, not just a select few. When I came to Washington in 1988, the cold war was ending and the hot beat was national security and the State Department. If I were a cub reporter today, I’d still want to be covering the epicenter of national security — but that would be the Education Department. President Obama got this one exactly right when he said that whoever “out-educates us today is going to out-compete us tomorrow.” The bad news is that for years now we’ve been getting out-educated. The good news is that cities, states and the federal government are all fighting back. But have no illusions. We’re in a hole. Here are few data points that the secretary of education, Arne Duncan, offered in a Nov. 4 speech: “One-quarter of U.S. high school students drop out or fail to graduate on time. Almost one million students leave our schools for the streets each year. ... One of the more unusual and sobering press conferences I participated in last year was the release of a report by a group of top retired generals and admirals. Here was the stunning conclusion of their report: 75 percent of young Americans, between the ages of 17 to 24, are unable to enlist in the military today because they have failed to graduate from high school, have a criminal record, or are physically unfit.” America’s youth are now tied for ninth in the world in college attainment. Duncan disputes the notion that teachers’ unions will always resist such changes. He points to the new “breakthrough” contracts in Washington, D.C., New Haven and Hillsborough County, Fla., where teachers have embraced higher performance standards in return for higher pay for the best performers. Duncan’s view is that challenging teachers to rise to new levels — by using student achievement data in calculating salaries, by increasing competition through innovation and charters — is not anti-teacher. It’s taking the profession much more seriously and elevating it to where it should be. 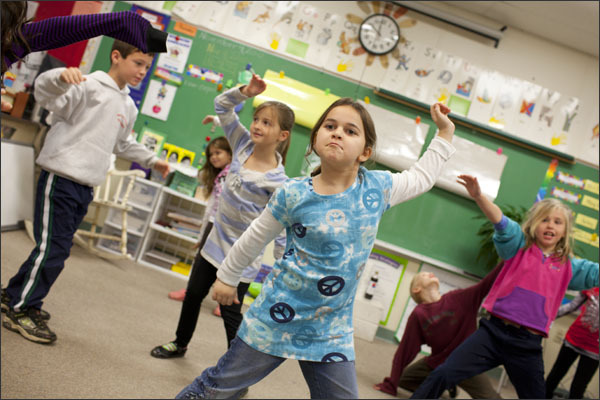 There are 3.2 million active teachers in America today. In the next decade, half (the baby boomers) will retire. How we recruit, train, support, evaluate and compensate their successors “is going to shape public education for the next 30 years,” said Duncan. We have to get this right. All good ideas, but if we want better teachers we also need better parents — parents who turn off the TV and video games, make sure homework is completed, encourage reading and elevate learning as the most important life skill. The more we demand from teachers the more we have to demand from students and parents. That’s the Contract for America that will truly ensure our national security. One of the challenges confronting education policy makers is staying connected to the grassroots. This is not only important for political purposes, but, most importantly, for policy implementation. What sounds great in the cloakrooms on Capitol Hill, or the conference rooms of D.C. policy shops, sometimes does not work on the ground. As a former high school teacher and principal, I am particularly sensitive to this dynamic, which is why I got back into the community again last week, visited schools across the nation, and spoke with some of the folks who are making it happen. My journey started at home, in California's 15th district, wherein I shared my vision for education equity with Lincoln High School and National Blue Ribbon KIPP Heartwood School students, and with the Silicon Valley Education Foundation. The second and third legs of the trip took me to New Jersey, to address a conference on equity hosted by the Leadership Conference for Civil Rights, and New York City, to meet with Geoffrey Canada and see the remarkable work being done at the Harlem Children's Zone. My whirlwind tour left me both inspired and concerned. We need to do more to address what the President and others have called the Civil Rights issue of our time. Education is not only one of the greatest civil rights issues of our time, but it is also one of the greatest competitiveness issues, making it one of the greatest long-term economic issues, and by extension, one of the greatest national security issues we are faced with today. The urgency of this eludes us, however, which it is why it is up to each of us to do the pick-and-shovel work of building the political will to motivate our country to recognize this crisis, and act. Let me kick-start that conversation by sharing my vision, what I am doing to build that political will, and what I think we need to do in order to create real equity. Currently, the United States is confronting two achievement gaps that threaten the future of our communities. The first achievement gap separates our communities by class and ethnicity. This attacks the very principle upon which our nation was founded: A promise of equal opportunity for all. Public education is the tool through which our society strives to deliver on this promise. When public education is inequitable, the foundation of our democratic society is compromised. The second achievement gap is between the United States and other developed countries. Despite the United States spending more per-pupil than any other developed nation, we rank poorly compared to other developed countries because our achievement in reading, science and math has declined significantly over the last 30 years. This threatens our competitiveness and our security because in the global economy, education is the enabler of opportunity and the enhancer of long-term financial stability and prosperity. The only way the United States remains a world leader in the 21st century is to ensure that the most competitive economy is built by the most highly skilled, innovative and agile workforce. The first achievement gap threatens the authenticity of the American Dream by denying each child equal access to reach and realize his or her fullest potential. The second achievement gap represents an attack on the American Dream itself because it threatens the viability of a middle class. In order to address both these gaps, we must distinguish between equity and parity. In California, for example, while all schools may, in theory, be created equal, not all schools are treated equally. California ranks the highest in the country in per-pupil spending disparity: One school district spends more than four times what the lowest district spends. Consequently, any state-wide funding cut results in disproportionate and adverse effects among low-income communities and high-needs students. California's disparities are representative of funding disparities across the nation. Our highest spending American school district spends 9.12 times more per pupil than the lowest-spending district. My district in the Silicon Valley region, for example, contains one school district that spends nearly twice as much per student than an adjacent, similarly-sized district. Unsurprisingly, the better-funded district has higher teacher salaries, lower student-teacher ratios, higher standardized test scores and higher graduation rates than the neighboring district, which struggles with half the funding. Federal funding, in response, tries to close these kinds of gaps and bridge these disparities by supplementing local budgets with additional federal dollars. The thinking here is that it will result in equal per-pupil spending across the system. This is not equity because it fails to take into account the specific needs of each child, including the need to address the achievement gap that exists before the child enters school. Poor and minority students often require additional resources to address needs that originate outside the classroom. By equalizing funding, then, we have only achieved a parity of resources, not equity of opportunity. Only by addressing the individual needs of each child, regardless of cost per pupil, can we attain equity. This will require precision in the way we finance public education and the way we calculate the level of resources we direct towards each child. Inequity in education has historical roots. At its inception, the Federal Government lacked the capacity and the authority to take responsibility for public education. Before the Constitution was drafted, the 13 colonies operated under the Articles of Confederation, created by the Second Continental Congress. The Articles of Confederation could only be amended by unanimous vote of the states. Any state had effective veto power over any proposed change. In addition, the Articles gave the weak federal government no taxing power. It was entirely dependent on the states for its money and had no power to force delinquent states to pay. In fact, Rhode Island, fearing that the Convention would work to its disadvantage, boycotted the Convention in the hopes of preventing any change to the Articles. When the Constitution was subsequently presented to the Confederation, Rhode Island refused to ratify it. To placate the states, the Tenth Amendment ceded broad authority to the state governments. Consequently, as regions of the country developed their own public education systems, disparities opened up. These disparities have become more pronounced and localized as states used local property taxes to finance their own schools. It was not until the Civil Rights Movement that the Federal Government became actively involved in financing education through the ESEA Act of 1965 and IDEA Act of 1975, in order to level the playing field. The Supreme Court, in its 1973 decision in San Antonio School District v. Rodriguez, effectively removed federal courts from school finance. To this day, federal dollars represent less than 10 percent of public education funding. State governments provide the bulk of the funding, so they are mostly immune to federal efforts to reform education policy. The current crisis in state budgets has created a historic opportunity to change this paradigm. State governments, mired in long-term fiscal trouble, are willing to accept the requirements the federal government has imposed in order to receive desperately needed aid. Paradigmatic change is already happening. The American Recovery and Reinvestment Act has altered the political landscape through competitive grant programs like Race To The Top, that provide state and local governments with funding if the recipient agreed to some form of educational reforms. More than 30 states have changed laws around the issue of teacher evaluation. The impending reauthorization of ESEA has taken the process a step further: 37 states have agreed to the Common Core standards for curricula to ensure they will qualify for future federal funding. The groundwork has been laid for an increased federal role in education. We need to build on these accomplishments to ensure that federal dollars can continue to be leveraged to produce local successes after the American Recovery and Reinvestment Act funding runs out. We need to continue to redefine the federal role in public education. The implications to our democracy, our civil rights, and our role as a world leader, require it. This leaves us with two interconnected questions: First, how do we reform the system of financing public education? Second, what policies should the federal government pursue in order to leverage this expanded role? In order to attack the problem of reforming school finance and redefining the federal role in public education, I formed the National Commission on Education Equity and Excellence. The Commission is housed in the Department of Education's Office of Civil Rights, and will bring together some of the foremost experts on education from across the political spectrum in order to conduct a national dialogue on school finance and equity that reaches the needs of each child. It is only by talking with educators, parents, students, advocates, school board members, counselors, principals and superintendents invested in each student's achievements and civil rights that we can understand what is needed to make public education work in every community. The intent of No Child Left Behind and Race To The Top was well-intentioned, but one of many key problems in both cases was Washington lawmakers' failure to hold the kind of dialogue needed to understand the incredible tools at the federal government's disposal to help states, districts and schools succeed. This time, we will not make the same mistake. Our national dialogue will ferret out not only new systems of finance, but new policies that will create equity for each child. The great thing about where we are now is that we do not need to reinvent the wheel. Innovation is critical, but it should not come at the expense of ignoring 50 years of research on what works. We know the game changers. We not only know which children will drop out of school, we know which schools they attend. We know when and where the achievement gap opens and we have the tools to close it. We know that teachers are the most important factor in a child's education, but we also know that for best results, students need more class time and a whole range of support services. We know the power of data and we know how to train teachers to use it. We know where job growth is happening in our economy and we know that a background in STEM and a college diploma are what our children need to achieve their fullest potential. Above all, we know that the single commodity that children bring to school each day is time, and that we must properly value it. We know these things work and we know how to accomplish them. We need to develop a new system of finance that empowers local community leaders, advocates, businesses, nonprofits, educators, parents and students to join forces to devise a unique approach that works for their community. Going forward, I see my work as two-fold. First, I will continue to build the political support for the Equity Commission and to encourage this crucial dialogue so that we can build the will to act. Second, I will propose and fight for legislation that addresses the critical game-changers and uses the tools of the Federal Government to empower communities to educate their children. We often hear that there is no silver bullet in education. This is correct. There is no single policy that will close the achievement gap for poor and minority students, but there is an array of policies that if implemented effectively will help us achieve our vision of equity for each child. The international achievement gap will also close as we employ all the tools in our toolbox to ensure that each and every child is successful. We have a long struggle ahead of us but we are able to say right now, maybe for the first time, that the tide is starting to turn. For the first time we are looking at all these questions through a lens that makes all these seemingly complicated issues startlingly clear: What is best for each child? By answering this question, we begin to address one of the greatest civil rights issues, one of the greatest competitiveness issues, one of the greatest long-term economic issues, and one of the greatest national security issues we are faced with today. SAN FRANCISCO – This month's election and the resulting power shift in Congress and state capitols across the nation could create new coalitions around education. Darling-Hammond, a Convener with The Forum for Education and Democracy, said the likely chairman of the House Education and Labor committee will be John Kline, a Republican lawmaker from Minnesota. Kline favors full-funding for special education, a move that would help the entire public education system if it happens, Darling-Hammond noted. Kline is also skeptical about the Obama administration's Race to the Top and innovation grants programs. She said the philosophy could result in less influence from Washington on education policy. Darling-Hammond, along with Forum Conveners Pedro Noguera and Deborah Meier, warned that equity continues to be growing problem in public education. The gap between America's richest and poorest citizens has unraveled many of the gains made in the 1960s and 1970s by former President Lyndon Johnson's Great Society program. "It undermines everything that we do," Noguera said. He said the movement to apply the business model to solve real or imagined problems in education won't work. “I'm not willing to give up on public education,” said Noguera, a New York University professor. “I know of no public good that is addressed effectively through the market system. Meier, a teacher and author, agreed. She said the recent performance of big banks and giant corporations hardly makes them ideal candidates to overhaul schools. “It's time for the teachers of America to take over the business world,” she said. “We do a better job.” Meier noted that while No Child Left Behind required 100 percent proficiency for all children in reading and math by 2014, no such regulation applies to other equity issues. Noguera Calls on CES Delegates to be "Critical Friends"
SAN FRANCISCO -- Pedro Noguera has had plenty of access to Obama administration policy makers. In fact, he sat down with 50 people from the U.S. Department of Education, who listened to his thoughts for 90 minutes. "Then I left and nothing changed," Noguera, a Convener with The Forum for Education and Democracy, said in an opening address last week at the Coalition of Essential Schools Fall Forum. "I realized that the Obama administration was staying the course not just in Afghanistan, but in education." More than 750 educators, parents, policy advocates and others attended the Fall Forum, the 25th year it has been held. Participants came from 33 states, three countries and more than 200 schools. They attended three days worth of workshops and sessions that ranged from engaging parents through social media to allowing students to design their own learning experiences. The coalition's new executive board president, George Wood, announced that the 2011 Fall Forum will be held next November in Rhode Island. Wood, executive director of The Forum for Education and Democracy, is principal at Federal Hocking High School in Ohio. Noguera, a New York University professor and director of the Metropolitan Center for Urban Education, urged educators at the conference to continue to push for schools that matter for students, parents and teachers. He suggested they should continue to push back against the forces that disparage public education and public school teachers. But he also warned against defending the status quo. "I think we have to figure out how to respond," he said. "But we have to respond without appearing to defend the status quo. Our support can't be blanket support. It's got to be critical support. The way we've been doing business in many schools is simply not getting us the results we need as a nation." As "critical friends," progressives in public education have to craft messages that include alternatives to the status quo, Noguera said. He said the notion of progressive education means nothing if it doesn't result in better schools for more students. Sometimes, those better schools are charter schools, he acknowledged. But because traditional public schools accept all children, they need to be our focus, he said. Not doing so will widen the gap between the haves and the have-nots, he warned. "The whole issue is what kind of country are we going to be," he said. Before Noguera spoke, Gregory Peters of the San Francisco Coalition of Equitable Small Schools urged participants to think about what "schools that matter" means, who decides what it means and for whom is it intended. As a high school student, Peters was told he was too poor to attend college. As a college student, he was told his education didn't matter because he had not attended an elite university. "I had heard that my education did not matter and that I did not matter," he said. "The work of education equity is urgent. We have no time to waste." Meanwhile, Nancy Sizer told participants that her late husband, Coalition of Essential Schools founder Ted Sizer, would be gratified that his work continues to prosper. Nancy Sizer, an instructor at Harvard University and a Convener with The Forum for Education and Democracy, said her husband favored conversation and collaboration over rigid, top-down dogma. "He never wanted a 'Sizer Plan' to be, as he would say, 'implemented,' " she said. "He called our school-reform work a conversation among friends. Even if you never met Ted Sizer, you are, each one of you, his most treasured colleague." BROWNSVILLE, TEXAS – NOVEMBER 11, 2010 – The University of Texas at Brownsville and Texas Southmost College will have two new academic colleges early next year. The University of Texas System Board of Regents approved renaming the School of Health Sciences to the College of Biomedical Sciences and Health Professions and the creation of a College of Nursing. The board approved the moves Thursday, Nov. 11 in Austin. The colleges will begin functioning on Saturday, Jan. 1. Students in the School of Health Sciences’ Department of Nursing will take classes in the new College of Nursing. Thirty-nine faculty members will teach vocational, associate, bachelor and masters nursing programs that for now will remain in the Life and Health Sciences Building. Dr. Edna Garza-Escobedo, a senior lecturer and former chair of the Department of Nursing, is leading the new college’s transition team. She said the new college could attract new research dollars for faculty members and other increased revenue sources for students. Garza-Escobedo is also the college’s interim dean. She said a nationwide search will take place for a permanent dean who could begin work late next year. “We are looking at a mission statement and we will look at the organizational structure the college will take, what the departments will be and how our programs will fit into those departments,” she said. Student numbers have grown in nursing programs, according to the university’s Office of Data Management and Reporting. Currently there are 422 nursing majors compared to fall 2008 with more than 360 nursing students. Students in the School of Health Sciences’ Department of Allied Health will take classes in the College of Biomedical Sciences and Health Professions. This will encompass the health services technology, cancer information management, diagnostic medical sonography, emergency medical science, medical laboratory technology, polysomnography, radiologic technology and respiratory care programs. All programs have national accreditation. Classes will be at the Life and Health Sciences Building but will eventually have a presence in the 66,000 square-foot Biomedical Research and Health Professions Building set for completion next spring. This new structure will have four classrooms, a science research laboratory wing housing 12 laboratories, three technology labs, eight faculty research facilities, 12 science research facilities and an outreach space. The third floor will be the campus emergency response center used for natural and manmade disasters. Some faculty members from the Department of Biological Sciences in the College of Science, Mathematics and Technology will move to the new college on Sept. 1, 2011, said Dr. Michael Lehker, department chair and professor of molecular genetics and microbiology. The Minority Biomedical Research Support, Research Initiative for Scientific Enhancement Program currently in the School of Health Sciences will be in the newly renamed college. The program’s goals are to promote academic leadership, problem solving, critical thinking, analysis and effective communication. Faculty members in the program mentor students in biomedical research that includes bioinformatics, cardiovascular disease, nutrition and other science and health areas. The new college will mean programs can expand from the limited number of students they have. The diagnostic medical sonography program is limited to less than 30 students while the medical laboratory program has a cap of less than 25 students. Fall semester had about 150 students, but this figure is unofficial. The official figure will be approved by the Texas Higher Education Coordinating Board. There were more than 120 students in the department in fall 2009, according to official figures from the Office of Data Management and Reporting. Fall 2008 had more than 110 students. Dr. Eldon Nelson, dean of the School of Health Sciences, will be interim dean of the new college and a national search will take place for a permanent dean, said Flores. It could be called "black America's gender crisis," if indeed anybody acknowledged it as a crisis. But most black misleaders refuse to acknowledge it at all. "A report released this week on academic performance offered disturbing news for black males. Regardless of socio-economic status, black males tend to perform more poorly than whites. "Among the most disheartening news in the study released by the Council of the Great City Schools was that black males who are not poor do no better than poor white males or white males with a disability." "New Report on Black Male Achievement in America Reveals 'National Catastrophe,' " reads the headline. In the body of the story, there is this foreboding quote: "Black males continue to perform lower than their peers throughout the country on almost every indicator." Now that the problem has been defined, we can talk about the particulars. Anybody notice the gender question? We're not talking about black girls underachieving, or black girls having a crisis when it comes to education. We're talking about black boys. That means the girls are achieving, and the boys aren't. That means black America's old, reliable whipping boy -- white racism -- might not be solely to blame for this crisis. And a crisis it is. It's our nasty little secret, the dirty laundry we don't want washed in public. If, indeed, white racism, specifically institutional white racism, were the cause of black academic underachievement, we would expect it to affect black girls and black boys in equal, or near equal, measure. Three years ago, I talked to a group of academic superstars at Overlea High School, a racially diverse institution in Baltimore County. One of the school's administrators told me who comprised the subgroup of highest academically achieving students. Was it Asian-Americans? No, the highest achievers at Overlea High School were black. Black girls must be doing something right, academically, that black boys haven't caught on to yet. Our misleaders either can't or won't see that, which is why reports like the one issued last week won't get them to stop their rants about "institutional racism" or to acknowledge that their own rhetoric reveals a gender, not a racial, disparity. Have they noticed we never talk about "all those black women in prison"? Yes, the numbers of black women in prisons have been rising, but they haven't reached nearly the numbers or percentages of black men yet. There's a gender crisis in black America. If we want to let our black boys know what they're doing wrong, we should tell them to look at black girls to see what they're doing right. Examiner Columnist Gregory Kane is a Pulitzer nominated news and opinion journalist who has covered people and politics from Baltimore to the Sudan. The Obama administration has said it wants lawmakers to reauthorize the Elementary and Secondary Education next year, but with a new Congress coming in, it's tough to tell whether or not that will actually happen. So now a bunch of education organizations, including the American Association of School Administrators and the National School Boards Association, are asking the U.S. Department of Education for regulatory relief from parts of the No Child Left Behind Act (the current version of ESEA) so that schools don't have to wait until Congress renews the law to get some of the changes they're looking for. The nation's largest union, the National Education Association, is also part of the push. The union sent a letter Nov. 15 to U.S. Secretary of Education Arne Duncan asking him for flexibility in some key areas. *Leeway for districts on the highly qualified teacher part of the law. The NEA argues that provision can be tough on small, rural districts. And the union contends that some special education teachers may need four or five certifications to meet the highly qualified benchmark, as its written now. *Changes to adequate yearly progress, or AYP, the yardstick at the heart of the law, which requires schools to test students in grades three through eight and once in high school. Schools that don't meet achievement targets for all students, or for those in a particular subgroup (like students in special education) are subject to a cascade of sanctions. The NEA wants schools that miss achievement targets by just one subgroup (say, English-language learners) to focus interventions just on that particular group, not the whole school. *Letting districts be able to use multiple measures to get credit towards AYP. Other measure could include district tests, the percentage of students taking advanced classes, and student attendance rates (right now, AYP is mostly calculated by those state reading and math tests). This was a major bone of contention when Congress took a stab at rewriting the law, back in 2007. *Providing more flexibility for schools testing students in special education, and English-language learners (for instance, letting ELLs test scores count for their school's AYP calculation after the student has been in the country for three years, instead of just one). *Giving states more flexibility to design their growth models, which track individual student progress over time. Growth models would have to go through state peer review and get the thumbs-up from a group of experts, such as the American Psychological Association, or the National Council on Measurement in Education. The department already has a growth model pilot project going. Texas A&M University’s student Senate recently approved a bill that would no longer allow illegal immigrants attending the school to be eligible for in-state tuition rates. Since 2001, illegal immigrants in Texas have qualified for in-state tuition, which offers them a generous discount compared to out-of-state students attending the university. Texas A&M has 49,000 students, and about 300 are illegal immigrants. But while the student Senate voted 48-21 this month in favor of the bill, S.B. 63-11, the move isn’t sitting well with Student Body President Jacob Robinson. “This is a state of residency issue and the state needs to address this first,” said Robinson. The student senators voted because state legislators "mentioned the desire to receive feedback from students at Texas institutions -- specifically Texas A&M," said Clark Caperton, student Senate chair of external affairs. That “desire” hit a nerve when the bill was introduced this month. Demonstrators took to campus streets and held up signs that said, “Aggies don’t fight Aggies,” and “We don’t choose to be illegal." Many of the demonstrators support proposed federal legislation called the Dream Act -- which would allow immigrant children to remain in the United States to serve in the military or attend college. Activists will turn out Wednesday when the bill is brought back onto the floor. Students will have an option to override Robinson’s veto. “Dream Act Activists are very effective and good at being heard,” Pulliam said. But he says there are others not so vocal -- students and faculty alike -- who support the bill. The student Senate has the backing of state Representative Leo Berman, who has plans to introduce legislation on this matter in the spring. Texas A&M is not the only campus in Texas experiencing turmoil recently, as other campuses in the state have had similar splits in the student body. University of Texas San Antonio students took part in a hunger strike in order to enlist Sen. Kay Bailey Hutchison's support for the Dream Act. Undocumented students at the University of Texas Austin put themselves at risk for deportation while participating in a "coming out rally" on campus last Tuesday. In 2001, Texas became the first of ten states to offer in-state tuition to illegal immigrants who meet certain criteria, which includes graduating from a local high school and pledging to legalize their immigration status as soon as possible. Illinois, Kansas, Nebraska, New Mexico, New York, Utah, Washington and Wisconsin all have a variation of the law. On Monday, California’s Supreme Court upheld its state law, after out-of-state students and their families challenged it, arguing they shouldn’t have to pay higher tuition while undocumented immigrants get to pay the lower state rate. Georgia and South Carolina -- which have a selective admissions process -- are the only two states that ban illegal immigrants from attending any college there. Caperton says the bill was to test the water of public opinion. “S.B. 63-11 is merely designed to represent the collective, although not universal, opinion of the students at Texas A&M,” said Caperton. Caperton or Robinson wouldn’t speculate if the veto would be overturned Wednesday, but both said that it would be a close vote. Is D.C.'s teacher evaluation system rigged? My guest is Aaron Pallas, professor of sociology and education at Teachers College, Columbia University. Pallas writes the Sociological Eye on Education blog for The Hechinger Report, a nonprofit, nonpartisan education-news outlet affiliated with the Hechinger Institute on Education and the Media. Joke #1: 50 percent of all doctors finish in the bottom half of their medical school class. Why do we laugh at these jokes? (At least, the first time we hear them?) Because there’s an incongruity in the idea of very high achievers (as most medical students are) being portrayed as low achievers. It’s all relative, of course. The 50 percent of the doctors who finish in the bottom half of the class at the Johns Hopkins University School of Medicine, arguably the top medical school in the country, are not low achievers. The school accepts only 5 percent of its applicants; the average undergraduate GPA of admitted students is 3.85; and the average MCAT composite score is 35, in the top 5 percent of test-takers nationally. In contrast, the average GPA of admitted students at Lake Erie College of Osteopathic Medicine (LECOM) is about 3.4, and the average MCAT composite score is 26, around the 50th percentile of test-takers nationally. Not low achievers, to be sure, but not in the same league as those at Hopkins. If we looked at the bottom 10 percent of Hopkins medical students, they might well exceed the achievements of 80 percent of the students at LECOM. Where do we draw the line to label a student as a “low achiever”? That’s one of the problems with value-added measures of teacher performance, which are in the news again as New York City considers releasing its teachers’ value-added scores. (The teachers’ union has sued to stop their release.) Value-added measures are based on ranking teachers against one another. They are relative measures, in the sense that a teacher’s ranking depends entirely on the performance of other teachers. We can contrast value-added measures with the other main thrust in the development of new teacher-evaluation systems, classroom observations by raters trained to evaluate teachers’ practices according to a clear set of criteria and standards. Such classroom observations are an absolute measure; the rating of a teacher is against a fixed yardstick of what constitutes good practice, not against other teachers. Although many new teacher-evaluation systems join value-added measures of teachers’ contributions to students’ test scores with classroom observations of teachers’ practices, the architects of these systems have not thought through the implications of combining relative measures of teacher performance (e.g., value-added measures) with absolute measures of teacher performance (e.g., classroom observations). Or perhaps they have thought this through; if so, I don’t like their thinking. Many readers will be familiar with the IMPACT teacher evaluation system piloted by the Washington, D.C. public schools in the 2009-2010 school year. I say “piloted” because the system was brand-new and had not been tried before. The first year of IMPACT had real consequences. In July, outgoing D.C. Schools Chancellor Michelle Rhee fired 165 teachers on the basis of their scores on the IMPACT evaluation, which generated a score for each teacher on a scale from 100 to 400 points. Teachers whose overall score was between 350 points and 400 points were classified as “highly effective”; those whose scores were between 250 points and 350 points were labeled “effective”; teachers with scores between 175 and 250 points were rated “minimally effective”; and teachers who scored between 100 and 175 points were labeled “ineffective.” Teachers in the ineffective category were subject to immediate dismissal. Any teacher rated minimally ineffective two years in a row is also subject to immediate termination. The components of the IMPACT system varied for different teachers in D.C. For general-education teachers in grades four through eight, 50 percent of their IMPACT score was based on an individual value-added (IVA) score comparing the performance of a teacher’s students on the standardized 2010 D.C. Comprehensive Assessment System (CAS) to that of other teachers whose students were deemed similar at the start of the 2009-10 school year. An additional 40 percent of the score was derived from five classroom observations carried out by the school principal and “master educators” hired by the district, in which teachers were rated against a Teaching and Learning Framework with nine different dimensions (e.g., deliver content clearly, or engage all students in learning). Five percent of the overall scores was based on the principal’s rating of the teacher’s commitment to the school community, and the final five percent on a school value-added score estimating the academic growth of all students in the school in reading and math from 2009 to 2010. We still don’t know anything about the properties of the individual value-added calculations that make up 50 percent of the evaluation for Group 1 teachers in grades four through eight in D.C. Although some teachers were fired in July on the basis of their value-added scores, DCPS has not released the technical report prepared by its contractor, Mathematica Policy Research, detailing the method. (An official told me recently that the technical report is expected to be released later this fall.) But the information that is available raises serious questions about the IMPACT framework. For example, a teacher whose students scored 3 points higher, on average, on the 2010 D.C. CAS assessment than similar students taught by other teachers would have a raw value-added score of +3. A teacher whose students scored 4 points lower, on average, than similar students taught by other teachers would have a raw value-added score of -4. These raw value-added scores were then converted into a final value-added score. Value-added measures create winners and losers. By definition, if there are teachers who are doing better than average, there will be other teachers who are doing worse than average. The average raw value-added score for teachers is 0, and a D.C. official confirmed that 50 percent of the teachers have scores greater than 0, and 50 percent have scores less than 0. But the conversion of the raw value-added scores to a final value-added score involves more than just tinkering with numbers, because the final value-added score is what places teachers at risk of being labeled ineffective or minimally effective, and hence at risk of being fired. This is a value judgment, not a matter of statistics. How did the DC IMPACT system determine what value-added score represents effective or ineffective teaching? The table converting raw value-added scores to the final value-added score tells the story. In reading, teachers whose raw value-added scores were between -.2 and .1 received a final score of 2.5. Raw value-added scores below -.2 received a final score of less than 2.5, with those with scores of -5.9 or below having a final score of 1.0. Conversely, raw value-added scores greater than .1 had final scores greater than 2.5, ranging up to a final score of 4.0 for teachers whose raw score was 5.8 or above. What this means is that 50 percent of all teachers received a final value-added score below 2.5, and 50 percent received a final score greater than 2.5. But what’s the meaning of a 2.5? Recall that the overall IMPACT score defines a teacher who averages lower than 2.5 on the various IMPACT components as minimally effective or ineffective. And a teacher who scores in this range two years in a row is subject to immediate termination. So here it is: by definition, the value-added component of the D.C. IMPACT evaluation system defines 50 percent of all teachers in grades four through eight as ineffective or minimally effective in influencing their students’ learning. And given the imprecision of the value-added scores, just by chance some teachers will be categorized as ineffective or minimally effective two years in a row. The system is rigged to label teachers as ineffective or minimally effective as a precursor to firing them. The pendulum has simply swung from one end of absurdity to the other; if many systems have historically rated 99 percent of teachers “satisfactory,” as documented in “The Widget Effect,” we now have in D.C. a system that declares exactly 50 percent of teachers ineffective or minimally effective. Not all of these teachers will be terminated, although if their entire evaluation were based on value-added measures, they could be. Ironically, the classroom observation ratings assigned by D.C. principals and “master educators” are, on average, higher than the value-added scores that teachers in grades four through eight received. So it’s the fact that observers generally judge teachers’ practices to be effective that offsets the risk of dismissal on the basis of value-added scores. These observations are based on holding up a teacher’s performance to an absolute yardstick of what constitutes good practice, rather than comparing teachers to one another. Rhee has now gone home, but the IMPACT evaluation system appears here to stay. Is it in the top half of teacher-evaluation systems? Only time will tell. Coordinating board wants to revise funding formula, financial aid. The state's higher education agency called Thursday for sweeping changes in policy, including a revised method of funding community colleges and public universities, a greater emphasis on merit for certain financial aid and a series of cost-cutting measures. The proposals, which would require legislative action, come at a difficult time for higher education: Enrollment is surging just as the state's finances are looking increasingly bleak. The latest estimates put the overall shortfall at about $24 billion for the next two-year budget. "We want to reinvent public higher education — reinvent it in a more cost-efficient way and reinvent it in a way that gives better academic results," said Higher Education Commissioner Raymund Paredes. "And we think that we can do that. I'm sure we'll need more financial resources over time, but not nearly as much as we would need if we didn't change the way we deliver education." Members of the Texas Higher Education Coordinating Board, Paredes' agency, approved the various recommendations unanimously at a meeting in Austin. The proposals now go to Gov. Rick Perry and the Legislature. The coordinating board also announced that statewide enrollment this fall is up 7.2 percent from a year ago, to 1.5 million students, based on a preliminary head count. The final count is expected to be 2 to 6 percent lower. The figures include all postsecondary institutions except private, for-profit colleges. The recommendations on cost-cutting were developed for the coordinating board by a 20-member advisory panel of higher education leaders and business executives led by Fred W. Heldenfels IV , the board's chairman. Perry issued an executive order last year directing the board to look for savings, and perhaps not surprisingly, some recommendations echo policies the governor has urged lawmakers to adopt in recent years. The coordinating board wants 10 percent of the base funding for universities to be indexed to so-called "student outcomes," such as graduation rates; total degrees awarded; degrees awarded to students from low-income families or those otherwise deemed at-risk; and degrees in science, technology, engineering, math and other fields considered high-priority. Ten percent of community college funding would be on the basis of degrees awarded, certificates completed, college-level math course completions and other performance measures. Currently, base funding is strictly a function of enrollment. Paredes said the recommendation was limited to 10 percent of base funding to avoid making draconian changes in the middle of a budget crisis. But that should be enough to prompt improvements, he said, and the percentage could be ramped up later. These and other recommendations could save $4.2 billion over four years by raising graduation rates and achieving other cost efficiencies, Heldenfels said. The coordinating board also wants to step up the merit component in allocation of financial aid awards called Texas Grants to students from low-income families. Those with strong academic credentials would get priority. A similar proposal suggested by Paredes didn't get approved by lawmakers last year. Lawmakers won't write the state's budget, including the higher education portion, until they meet in Austin next year. But Heldenfels acknowledged that it will be a challenging legislative session. The first goal is to preserve base funding and financial aid, Heldenfels said. The coordinating board also hopes to get extra funding to accommodate enrollment growth. But if higher education takes a big hit, the sense among chancellors and presidents is that there's no way to avoid tuition increases, he said. Results released today from a public opinion poll conducted for the American-Statesman and four other Texas newspapers might not help the coordinating board's cause. Among registered voters who were surveyed, one quarter said that to close the budget deficit, they would cut universities and junior colleges more than public education, health services for poor people and public safety . President Barack Obama signs the Executive Order on the White House Initiative on Educational Excellence for Hispanics on Oct. 19 at the White House. The Obama administration has renewed its commitment to key priorities in the education of Hispanic students, including reduction of the dropout rate, improved connections between pre-K-12 and postsecondary education, and passage of the “DREAM Act,” which would provide a path to legalization for some undocumented students. All of those topics were touched on at the Oct. 18 White House summit on Hispanic education, hosted by the White House Initiative on Educational Excellence for Hispanics. The event was the culmination of a listening tour by White House officials over the last 18 months to more than 90 communities that focused on how to improve the education and lives of Latinos. Rosalinda B. Barrera, the new director of the U.S. Department of Education’s office of English-language acquisition, plans to use the “bully pulpit” of her office to draw national attention to the need for English-learners to receive high-quality science instruction. “In this day and age, with the diaspora of English-language learners across the nation, it behooves us to prepare all teachers to work with ELLs,” Ms. Barrera said this week. 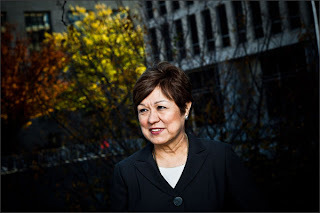 In a 45-minute interview, the former dean of the college of education at Texas State University-San Marcos focused on how she aims to increase awareness of the needs of ELLs nationally through new research studies and by ensuring that such students benefit from existing federal initiatives or grant programs. But she stopped short of revealing her position on any proposed policy changes to affect English-learners. “I was excited when I learned of the appointment that they were selecting someone who brought in a deep understanding of the language processes and practices of the English-language learners,” added Ms. Gutiérrez, who has known Ms. Barrera professionally and personally for 25 years. Apocryphal or not, this quote stands as a damning indictment of decades’ worth of school reform efforts. Earlier this year, my dear friend Diane Ravitch raised a furor when she charged in The Death and Life of the Great American School System that advocates of test-based accountability, mayoral control, and charter schooling had overpromised and naively imagined that these structural measures could “fix” our education woes. This ferocious blast was well-timed and well-aimed, and resonated mightily. However, Ravitch also went much further, labeling such measures a sinister assault on public education. It was here that her useful blast at faddism got ensnared in a familiar trap. Ravitch allowed the shape of today’s public schools and school districts to define the mission of public schooling. Thus, attempts to rethink governance, teacher evaluation, or incentives become “attacks” on public schooling. This leaves us wedded to arrangements that may have made sense a century ago, but that are poorly suited to today’s goals or to making the best use of 21st-century tools and resources. If our goals and tools have changed, and they have, it’s only sensible to ask whether yesterday’s compromises and chance decisions ought to steer our course. The proper measure of whether proposals are consistent with public schooling ought not be whether power, politics, or finances shift, but whether we’re doing a better job of educating all children in ways that ensure they master essential knowledge and skills, develop their gifts, and are prepared for the duties of citizenship. Would-be reformers like U.S. Secretary of Education Arne Duncan are as myopic as their opponents, casually swallowing intact the familiar assumptions of districts, schools, age-graded classrooms, Carnegie units, and teacher job descriptions—and then imagining that the addition of merit pay, value-added metrics, and fanciful turnaround plans will be enough to set matters right. As their state financing dwindled, four-year public universities increased their published tuition and fees almost 8 percent this year, to an average of $7,605, according to the College Board’s annual reports. When room and board are included, the average in-state student at a public university now pays $16,140 a year. At private nonprofit colleges and universities, tuition rose 4.5 percent to an average of $27,293, or $36,993 with room and board. The good news in the 2010 “Trends in College Pricing” and “Trends in Student Aid” reports is that fast-rising tuition costs have been accompanied by a huge increase in financial aid, which helped keep down the actual amount students and families pay. In the last five years, the report said, average published tuition and fees increased by about 24 percent at public four-year colleges and universities, 17 percent at private nonprofit four-year institutions, and 11 percent at public two-year colleges — but in each sector, the net inflation-adjusted price, taking into account both grants and federal tax benefits, decreased over the period. Almost everybody has been helped by the federal government’s increased spending on education, Ms. Baum said, either through Pell grants, which provide an average of $3,600 for low-income students, or through tax credits, which go further up the income scale. The increase in federal support this year was so large that unlike former years, government grants surpassed institutional grants. This year, the report found, full-time students receive an average of about $6,100 in grant aid and federal tax benefits at public four-year institutions, $16,000 at private nonprofit institutions, and $3,400 at public two-year colleges. Despite the weak economy, and the number of families having trouble paying tuition, the nation’s public universities continue to award most of their institutional aid without regard to financial need. Over all, the report found, 42 percent of the public institutions’ aid is awarded on the basis of need. That is up from 28 percent the previous year, Ms. Baum said, for reasons that are unclear. Out-of-state students at public universities this year are paying an average of $19,595 in tuition, with total charges of $28,130, according to the report. At public community colleges, published tuition and fees rose 6 percent, to an average of $2,713. And at for-profit institutions, the report found, tuition and fees rose 5.1 percent, to an average of $13,935. Over the last decade, published tuition and fees at public four-year colleges and universities increased each year at an average of 5.6 percent beyond the rate of inflation. The bigger and broader the objective, the more diffused the responsibility for achieving it can be. For instance, with a mammoth undertaking like the college completion goal that President Obama and like-minded foundations and associations have laid out for the United States over the next 10-15 years, saying that "the country" needs to increase its college-going rate to 60 percent is so general that it makes both everyone and no one responsible for doing the heavy lifting. To combat that vagueness, policy makers and politicians have tended to break down the job into discrete units, with a focus on states (where various sectors of public higher education can work together, with the guidance of governors and chancellors) and individual colleges (which can be held accountable for their own performance and improvement). But in a pair of reports to be released today, the postsecondary education program at the Center for American Progress -- which takes pride in reframing existing policy discussions -- points out that both of those approaches have inherent problems. Focusing on the states creates difficulties in those metropolitan areas where multiple states intersect, putting up unnecessary barriers (in the form of financial aid, tuition and credit transfer policies) that inhibit the flow of students. And viewing higher education completion through the prism of individual institutions' productivity -- judging them on how many graduates they produce -- ignores the rapidly increasing numbers of students who attend multiple colleges. "[A]n institution’s graduation rate is not what we truly care about," three of the center's staff members write. "What matters more is whether a student completes a degree anywhere in the system -- regardless of that student’s pattern of mobility." In the two papers, the center offers alternatives -- to complement, not replace, the existing approaches. In "Easy Come, EZ-GO," three researchers at the Institute for Higher Education Policy propose that the federal government seed an "educational zone" experiment aimed at deregulating higher education in 20 large metropolitan areas that sit at the crossroads of multiple states, knocking down barriers that prevent a "regional" approach to higher education. And in "Degree Completion Beyond Institutional Borders," researchers from the center and from the Council for Adult and Experiential Learning argue that the institution-centered emphasis on the traditional credit hour as the basis for acknowledging academic achievement is increasingly misguided, given the previously referenced (and intensifying) student mobility. The paper advocates for more acceptance of several alternative methods that some colleges and organizations are using to award credit, from competency-based models to rigorous evaluation and formal recognition of prior learning. The idea that higher education is a regional rather than a state enterprise is not new; organizations like the Southern Regional Education Board, the Western Interstate Commission on Higher Education, the New England Board of Higher Education, and the Midwestern Higher Education Compact have used that approach to their areas' challenges and opportunities for many years, and the Organization for Economic Cooperation and Development is five years into a project that examines how higher education can help cities and regions promote the development of people and innovations. But because the vast majority of American college students attend public institutions that are operated and funded (if to declining degrees) by states, most analyses of U.S. higher education -- and most approaches to improving it -- are (understandably) framed through the states, notes the "Easy Come, EZ-GO" report, produced by IHEP's Brian A. Sponsler, Gregory S. Kienzl, and Alexis J. Wesaw. But "state-based strategies for reaching required college-degree attainment goals run the risk of overlooking the critical role metropolitan centers must play in reaching these targets," they write. "Moreover, given the jurisdictional nature of postsecondary policy, states are ill-equipped to effectively manage an important subset of metropolitan America -- metro regions that cross state boundaries." To make their point, the researchers, after identifying 44 metro areas that touch at least two states, zero in on the largest 20 (seen in the figure below), which, taken together, account for more than 66 million people and 27.5 percent of the nation's gross domestic product. They range from comparatively small places like Allentown, Pa. (which touches New Jersey) and Chattanooga, Tenn. (bordering on Georgia) to behemoths Chicago (which draws from Indiana and Wisconsin) and New York, a metro area that reaches into New Jersey and Pennsylvania. Cities are a logical focal point for those concerned about increasing higher education attainment, the authors note, given that they are increasingly population-heavy, that those populations are more likely than rural populations to include the minority and low-income Americans who are the least likely to be college-educated already, and that, "as drivers of economic activity, it is vital to the national interest that labor pools in the nation's metro-based economic centers be adequately educated and trained to meet the demands of employers.... Future productivity demands it." But many cities present challenges, too, given the state-based framing of most higher education policy setting. Students in these border cities are highly mobile and likely to attend multiple institutions (sometimes at the same time). As a result, financial aid programs in many states that provide funds only to students who attend an in-state institution, and tuition policies in many places that charge much more to out-of-state students than to residents -- while arguably sound policies for the states' own purposes -- help these students little. And while many institutions and states have worked to ease the transferability of academic credit, cross-border transfer of credit is more complex, and in many cases difficult. While multi-state areas often figure out ways to collaborate in other realms of public policy -- think regional transportation networks and utility management -- they seem rarely to do so when it comes to higher education, the authors argue. To illustrate that, the authors examine the area surrounding Portland (not Maine), which spreads to five counties in Oregon and two in Washington. One of the Washington counties, Clark, has three relatively small colleges, yet needs to produce nearly 55,000 degrees to hit the 60 percent mark for its college-age population. Portland's public two-year and four-year colleges would be logical places for Clark County's residents to enroll, but Portland's community colleges charge out-of-state students tuition and fees of $8,772 a year, compared to $3,120 for Oregonians. And Clark County residents who qualify for state financial aid in Washington would be unable to use it to attend a college or university in Portland, the report states. So what might be done to change that and other situations like it? The report's authors envision the federal government stepping in to clear some paths. Under the concept they lay out, Congress would create a series of Education Zone Governance Organizations in specific metro areas -- "places in the nation where the federal government should coordinate and incentivize policymaking to take a regional approach to support increasing educational attainment," they write. A commission, housed in the Education Department, would set the boundaries of the city zones and advise the department and Congress on steps they could take to give incentives to state governments, colleges and other local players, and to redesign federal policy to topple barriers. For instance, the commission might push for altering a new provision in the Higher Education Act on intra-system articulation agreements to allow the Education Department to help design and foster such arrangements across state lines. One example: The federal government could provide a bonus to a college that graduates a Pell Grant-eligible student from a county in another state within its education zone, with the goal of having the money be enough to "offset differences in the institutional cost of educating a state versus a nonstate resident," the report states. "Such a program would address in part the disparity in state subsidization of postsecondary education," and address concerns that might arise among legislators in a state about providing access at in-state rates to more out-of-state students. The government might also provide matching funds to expand capacity at public institutions in the education zones that agree to increase their enrollments of students from counties within the region, the authors write. "Our proposed EZ-GO Commission would be a powerful agent in support of regional approaches to expanding postsecondary education opportunity," they conclude. "As state leaders struggle with depressed fiscal conditions, provincial college completion concerns, and complex political environments, we hold out little hope that state leaders will nurture a college-degree attainment agenda for ... critical metropolitan areas.... We do, however, think that supported by federal policy action, local actors could make more effective and efficient use of human capital in interstate metro America." The second paper released by the Center for American Progress today -- produced by Rebecca Klein-Collins and Amy Sherman of the Council for Adult and Experiential Learning, and by Louis Soares, who heads CAP's higher education program -- focuses on the "waste" of time, effort and money that governments, colleges and students expend because students are forced to repeat, or fail to get credit for, "learning they gained at other postsecondary institutions, in military training, or in the workplace," as the authors describe it. Rather than document the extent of the problem, other than to argue strongly that the federal government should de-emphasize rather than reinforce the use of the credit hour as the basis for measuring student progress, the authors spend most of their time describing a set of mechanisms "that allow students to convert or exchange -- like a type of currency -- their college credits and prior learning ... for academic credit." Some of these mechanisms, like articulation agreements to facilitate credit transfer among institutions, have been around for a long time and are fairly widely embraced; others, like the competency-based methods of assessing students' skills and learning used by Western Governors University and a small number of other institutions, are relatively recent developments. The report pays significant attention to the existing methods by which students and would-be students can earn credit for prior learning -- including the portfolio assessment done by the Council for Adult and Experiential Learning, the evaluation of military and corporate credits by the American Council on Education, and the use of standardized exams such as the College Level Examination Program (CLEP) exams -- and the evolving systems being developed by CAEL and Academy One aimed at making it easier for students to collect formal and informal academic work and for institutions to assess it. An event framed around these papers will take place today at the Center for American Progress. It will be streamed live. New York Mayor Michael R. Bloomberg has formally requested a state waiver to make publishing executive Cathleen P. Black the city’s schools chief, even as opposition to her selection has become more vocal this week. Ms. Black is a person of “extraordinary skills and accomplishments” with firsthand knowledge of the demands and challenges of today’s workplace, the mayor wrote in a six-page appeal to state Commissioner of Education David M. Steiner. The letter dated Nov. 17, was posted on the website of The New York Times. Under state law, district leaders in New York are required to have at least three years of teaching experience, a master’s degree or higher, and successful completion of a professional certificate in educational leadership. The commissioner is allowed to grant a waiver, however, for “exceptionally qualified” people. This is a really thoughtful blog post worth reading. Ask most adults if they think that being able to speak another language is a good thing and they will invariably answer ‘Yes’ and then add, ‘ but I was useless at it at school’. Ask them why it’s a good thing, and they start to flounder. Vague answers about how the economy needs people who speak other languages is the most common response, followed by how useful it is to be able to “get by” on holiday abroad. That’s a fair enough response from the general public, but when the needs of the economy and tourism are the reasons policy-makers, teachers and government give to justify the importance of foreign language learning, then you know we’re in trouble. Why? Instrumental arguments for learning languages are problematic because they are restrictive and reductive. They are, however, prevalent and difficult to challenge in the present climate where education has come to be seen in almost entirely instrumental terms. We no longer talk about a body of subject knowledge to be transmitted, but of skills to be acquired and applied. The aims and purposes of education now serve directly the perceived needs of society and the economy rather than being seen as a good in itself concerned with the intellectual development of the individual. No longer do we see any intrinsic value in education; ‘useful’ knowledge is all that counts. From this perspective, the study of other languages becomes a marginal pursuit, at a time when English is the global language of business. But if we take the view that foreign languages have a broader cultural and intellectual role to play both in education and society, as well as contributing to the personal enrichment of the individual, then the position of the English language takes on a relative rather than dominant position. Defences of foreign languages as a field of knowledge in its own terms are few and far between at the present time. Even those who recognise the contribution of foreign languages to the all-round education and personal development of individuals and the subject’s potential for broadening the horizons of young people, often still feel the need to justify their arguments in instrumental and functional terms. Perhaps what such arguments miss is to recognise what is unique about foreign language learning. The study of a foreign language has a unique transformational capacity that differentiates it from other subject disciplines in the potential that knowledge of foreign languages has of opening individuals up to human culture. As the veteran language teacher and academic, Eric Hawkins once wrote, the study of foreign languages serves to, ‘emancipate the learner from parochialism’. Foreign languages have the unique potential of breaking down barriers between people and countries and promoting a sense of universalism in an individualised world. This is at the heart of what makes the study of foreign languages unique and that is why I believe that they should be an important part of every young person’s education throughout their schooling. Never mind the needs of the economy. This is astounding. Latino students make up 3.1 million students out of 6.2 students statewide (total no. of students), as compared to 1.7 million whites, 526k Asians, and 424k Blacks (and 335k others). Texas, Florida and many other states are rapidly headed in this direction. We increasingly need enlightened policies that take into consideration the cultural, social, and economic situatedness of this group. That influence will only grow as Latino parents - now in the majority - realize many of the schools their children attend are underfunded, said Bruce Fuller, a professor of education and public policy at UC Berkeley. "It turns upside down how we think about California students," he said. 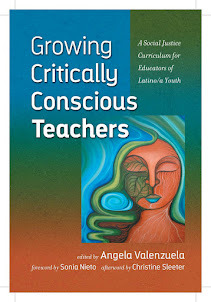 "A lot depends on the extent to which Latino parents come together and organize," Fuller added. "These are parents who historically have not had much political power. But as they are coming together and feeling their oats, they may organize around education." It's no surprise that Latinos make up the new majority in California schools, considering that their numbers have grown by leaps and bounds in recent decades. In 2009, Latinos made up 37 percent of the state's population, a number that continues to increase, according to the California Department of Finance. But their electoral sway has not grown by similar amounts, because almost 40 percent of adult Latinos in California are ineligible to vote, said Lisa Garcia Bedolla, an associate professor at the UC Berkeley Graduate School of Education. The challenge, she said, is finding ways to get Latino parents involved in schools when they cannot vote for members of their local school board. "How do we come up with constructive ways to do that, considering the limitations on how these parents can participate? That's the question from here," she said. In San Francisco, where an estimated one-third of public school students have a parent who was not born in this country, voters were asked this month to allow noncitizens to vote in school board elections. While Proposition D lost, 45 to 55 percent, the support the ballot measure received from civic leaders showed the growing concern about the role of immigrant parents in local schools. While underrepresented on the voting rolls, Latino voters are an increasingly important factor in California elections. In this month's gubernatorial election, Republican candidate Meg Whitman's firing of an undocumented immigrant housekeeper who worked for her for nine years, and her handling of the controversy after the employment was disclosed, was seen as damaging her standing among Latinos and hurting her at the polls. In that election, 16 percent of likely voters were expected to be Latino, according to a Field Poll released the day of the election. Latinos now make up 22 percent of the state's registered voters, according to the same survey. California schools need to do a better job of reaching out to that increasing number of Latino students, said David Gomez, president of the California Association of Latino Superintendents and Administrators and a school superintendent in Ventura County. Nearly 1.5 million students are English language learners, but many more still struggle in the classroom with difficult, subject-specific terms, he said. "For example, if you are studying social science, understanding words like 'justice' and 'beauty' can be difficult," he said. "In math, it can be even harder." Fuller, the UC Berkeley professor, suggested state educators look at language education in an entirely new way. "If the majority of the population is becoming bilingual," he said, referring to the growing Latino population learning English, "why shouldn't the white minority also become bilingual?" Hispanic or Latino students now make up a majority of public school students in California. Here is the statewide breakdown compared with major Bay Area school districts. The full report can be found at the California Department of Education website at sfgate.com/ZEFD. For those of you who are interested in staying connected with the pieces of legislation being filed, start by going to the Texas State Legislature MyTLO website and create an account. I also encourage you to use Google Reader, or another RSS feed to receive updated news on pieces of legislation and committee hearings. AUSTIN, Texas — Cracking down on illegal immigrants in Texas — on the roads, at schools and in the work force — was the focus of many bills Texas lawmakers filed Monday, the first day for proposing legislation to be considered in the upcoming session. With a bigger majority in the House, Republican lawmakers and lawmakers-elect also want to make it legal for concealed handgun license holders to carry handguns on college campuses, prohibit state money from going to facilities that perform abortions and keep Texas from enforcing new federal health care laws. Rep. Debbie Riddle, R-Tomball, spent Saturday and Sunday nights in front of the chief clerk's office in the Texas House to be the first in line to file her bills. The first one she filed when the office opened Monday morning was a proposal to require voters to provide proof of eligibility with either one form of photo identification or two forms of non-photo ID. "A visitor that walked by told me that I reminded them of the kids that camp out for Duke basketball tickets in Durham, North Carolina," Riddle said. "It was eye-opening to realize that people think it's normal to be passionate about something like college basketball, but odd to be passionate about your state's politics." She also filed measures that would make it a violation of state law for illegal immigrants to be in Texas, allowing state and local police officers to arrest them, and requiring school districts to report the number of illegal immigrants enrolled. Riddle's were among dozens of hardline bills on immigration filed on the first day. Sen. Dan Patrick, R-Houston, filed a similar bill that would allow suspicious law enforcement officers to inquire about a person's immigration status and make an arrest based on the answer. His measure also makes an officer, his agency and state and local officials immune from any resulting litigation. Sen. Jane Nelson, R-Flower Mound, filed a measure that would require all state and local governments and their contractors to use E-Verify — a joint program of the Department of Homeland Security and the Social Security Administration used to verify workers' immigration status. By midday, 338 bills had been filed in both the House and Senate. Last session, almost 7,500 bills were filed, but less than 20 percent of them became law. Lawmakers have until March 11 to file bills. The Legislature is set to convene for the biennial session on Jan. 11 and will adjourn May 30. Monitoring immigration legislation will be a priority for the American Civil Liberties Union of Texas during the session. "On the first day of prefiling, it's pretty tough to know what's going to happen during a legislative session," ACLU lobbyist Matthew Simpson said. But, he called the focus on immigration a "solution in search of a problem." "It's almost a red herring, at least a diversion or a move away from what I think are the critical issues facing the state," he said. Some of the proposed legislation also reflects the dire situation lawmakers will face when writing the next two-year state budget. Texas has an expected shortfall of more than $20 billion. One bill would require all school districts to consolidate into countywide districts. Another proposal would eliminate the Texas Higher Education Coordinating Board and consolidate its duties with the Texas Education Agency. Nelson filed a handful of bills that would require state agencies to streamline operations. Patrick also filed a bill that would make it illegal for former lawmakers to become registered lobbyists until two legislative sessions after they've left office. The measure would likely hamper the plans of many of the 21 Democrats who lost their re-election bids last week.